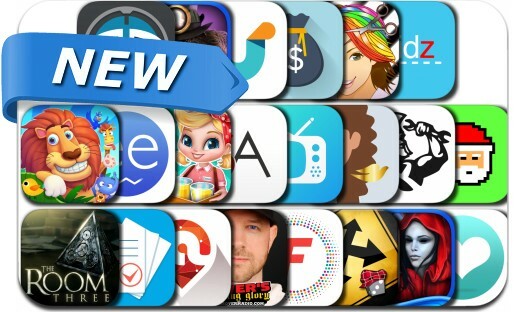 iOSnoops is constantly on the lookout for new apps, and here are 22 iPhone and iPad apps that were released recently. This new apps alert includes The Room Three, Haunted Manor: Painted Beauties, Unroll.Me, Docs & Works, Live At, SomeWeather, Make It Girl - Summer Dream Job, Crazy Zoo, SantaFly: Global Challenge, Gridz, PuppetShow: The Price of Immortality and many others. The eagerly awaited sequel to the BAFTA award winning 'The Room' and 'The Room Two' is finally here. Welcome to The Room Three, a physical puzzle game within a beautifully tactile world. Lured to a remote island, you must draw upon all your puzzle-solving ability to navigate a series of trials devised by a mysterious figure known only as “The Craftsman”.